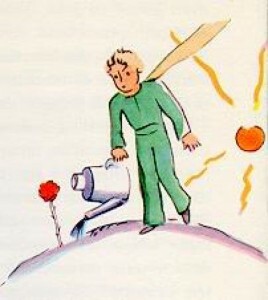 The Little Prince, a favorite quote. “You’re not at all like my rose,” he said. “As yet you are nothing. No one has tamed you, and you have tamed no one. You’re like my fox when I first knew him. He was only a fox like a hundred thousand other foxes. “You’re beautiful, but you’re empty,” he went on. “One could not die for you. or boasted, or even sometimes when she said nothing.